A carbon monoxide detector is a small device that can measure the levels of carbon monoxide in your air. Carbon monoxide is a tasteless, colorless and odorless gas that can be deadly once it gets into your bloodstream. As you can’t see, taste, or smell it though, it’s nearly impossible to detect. Instead, you can start to get a headache, feel weak and dizzy, experience shortness of breath, confusion, blurred vision, and begin to vomit too. Finally, you can lose consciousness and even die. More and more people see the value in owning a carbon monoxide detector, with it even becoming a legal requirement in establishments, motels, hotels, and other facilities too. If you want to protect your family and loved ones, then this affordable investment is one that will be well worth it. Take a look through these several high-quality options below, then run through considerations for making a purchase. The market is vast, so it pays to do your research before deciding to go ahead with a purchase. You can then go home, install it, and enjoy peace of mind from knowing that if there’s ever a problem with carbon monoxide, your carbon monoxide detector will let you know. When people buy a carbon monoxide detector, they want it to work no matter what. It shouldn’t matter whether there is a power cut or a battery is flat, it needs to be able to do its job. This one from First Alert does. Because it runs on electricity with a battery backup, it will work regardless of whether your battery has any charge, or if you have a power cut. However, it’s important to know that if you don’t have any batteries and you plug the unit it, it will not stop beeping until you install a new battery. Then, once you do, you will find they are challenging to set in place, and the instructions are hard to follow. Once you get over that hurdle, it’s smooth sailing. This electric model is available with or without the battery backup, and in packs of one, three, or six. It also has a test and silent button so you can ensure it’s working at its best at all times. 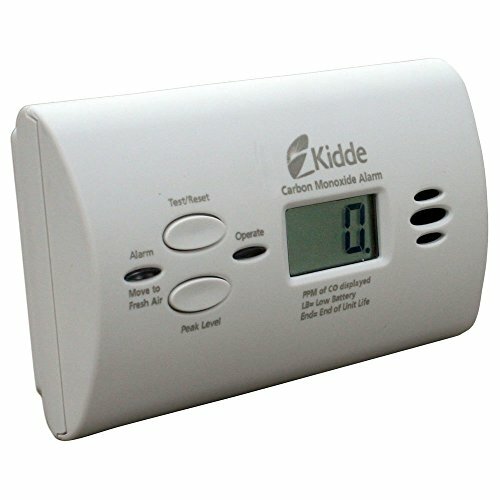 If you are not yet sure that this is the carbon monoxide detector for you, then you will be pleased to know it even lets you know when it’s not long for this world. Even though it has a seven-year warranty, you may find that after that point it beeps to let you know you need to replace it. This affordable, long-lasting and reliable carbon monoxide detector is one that’s well worth a closer look. Most people know they need a carbon monoxide detector and a smoke detector, but the thought of having two devices on your ceiling in each room can have you choose one or the other instead. This model from First Alert solves the problem by being a two-in-one unit. Instead of having to think about two sets of installation processes and batteries, you merely need to worry about one. With an electrochemical and photoelectric sensor, it can detect both smoke and carbon monoxide. There is also more to love about this unit than meets the eye. You can buy it affordable in bulk, it runs on batteries, and there are three models to suit. It also has a generous seven-year warranty and an “end of life” alarm when it’s time to replace it. If you find yourself with either carbon monoxide or a fire in your home, the alarm will sound at 85 decibels, ensuring you have an increased chance of hearing it. It can be quite a sensitive carbon monoxide detector when it comes to cooking in the kitchen, but it’s better to be safe than sorry. 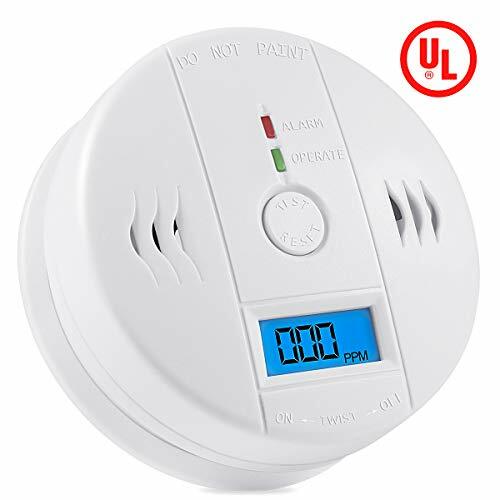 Even though this carbon monoxide detector is no longer at the top of the food chain when it comes to technology, it’s still a product that offers peace of mind when you need it the most. If you want to protect your family from carbon monoxide poisoning, this unit can be of assistance. It’s compact, small, affordable, and won’t look out of place in your home. What’s more, it has a sleek digital display so you can tell what’s going on with far more efficacy than other carbon monoxide detectors on the market. It’s effortless to install thanks to the instructions and has both AC and battery power for the case of a power cut. It will then let you know if you ever reach a peak level of safe carbon monoxide in your home. Sealing the deal is the generous seven-year warranty that offers peace of mind on a new scale. 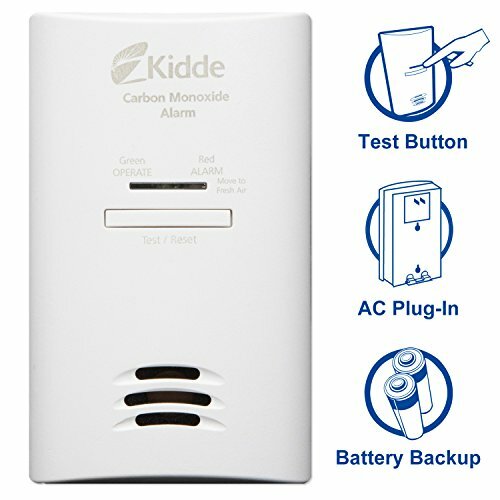 Take the time to view the pros and cons of this carbon monoxide detector before adding it to your shopping cart. 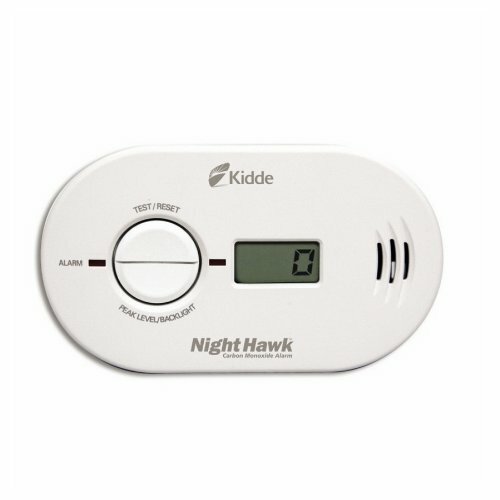 While you couldn’t use this carbon monoxide detector in cold conditions, and it’s not as sensitive as some people would like, it’s still an excellent option for those looking for peace of mind. Rather than always wondering whether your family is at risk, you can identify any carbon monoxide risks that might occur. This unit has a digital display to offer a PPM reading every 15 seconds, and it’s white to tie in with most home décor. You can also buy them in packs of one, two, four, or six, offering you the convenience of getting enough for every room in the house. What’s more, with this carbon monoxide detector, you don’t have to worry about power cuts and protecting yourself. It runs on both AC power and battery, meaning that if one or the other fails, you aren’t left without a monitor. However, when the battery starts to go flat it beeps, so always push the test button and check the LED lights to ensure it’s working. This affordable and compact carbon monoxide detector is something that every home should have, so consider whether it’s the right one for you today. 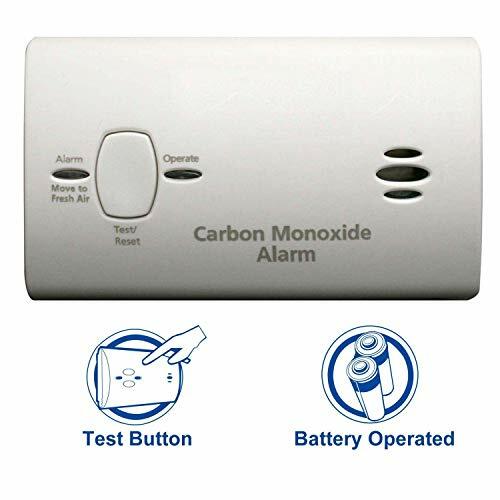 If you want to be able to monitor high levels of carbon monoxide to ensure your home is safe, then check out this carbon monoxide detector from Alert Plus. Even though it’s not the most sensitive of units, failing to pick up low levels of the toxic gas, it’s more than reliable when it comes to potentially harmful high levels. Once it detects carbon monoxide, it shows you on the digital display, lets off an 85-decibel alarm, and uses a voice warning as well. If there is ever high levels of CO in your home, you will know about it. The unit itself is also something special. It has a unique and contemporary design to work in with your home’s décor, comes with a half a decade warranty, and even includes batteries to save you the hassle of having to buy any. However, it might pay to have spares as these can be flat when they arrive. When the time comes to update your CO alarm or get a new one, don’t be afraid to check out this one. 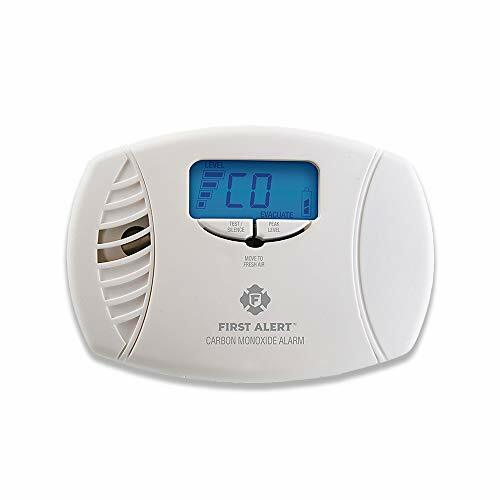 Many people love this carbon monoxide detector from First Alert, but there are as many people who don’t. It can be hit or miss to determine whether this detector is the perfect product for you. You can buy it in four models, depending on your needs, and enjoy the competitive price tag that comes with it. However, there might be a reason it’s affordable – is it all it’s cracked up to be? Even though it comes with a ten-year warranty and a battery to last as long, it sometimes fails prematurely. Many people say within a year or two of buying it, it can start to make sounds without the presence of carbon monoxide, smoke, or fire. The end of life chirp, as it’s called, is several years too early. However, when it’s working at its best, it impresses many. It has electrochemical technology, photoelectric senses, and an 85-decibel alarm to alert you to any problems in the home. The battery is also one you don’t need to replace until you change the entire unit. You may not be entirely sure whether to buy this unit or not, but if you do, its effectiveness may surprise you. Not every carbon monoxide detector on the market is easy to operate. If it’s not, that can be quite a problem. Fortunately, this model from Kidde is straightforward, effortless to install, and works correctly from day one. The first standout feature is the inclusion of a digital display. 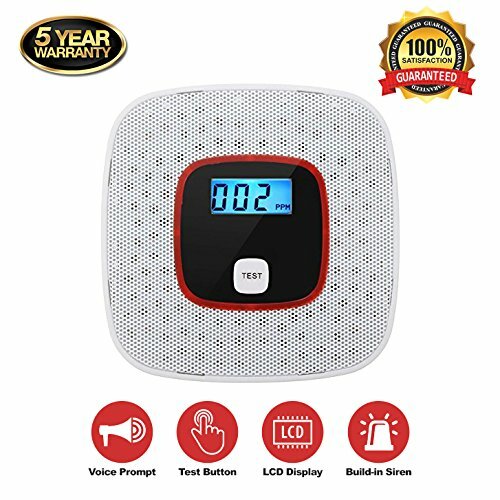 Instead of guesswork which is standard with a smoke detector, this CO alarm gives you up-to-the-minute readings of your carbon monoxide levels. It also refreshes four times per minute – every 15 seconds. It runs on batteries, which come with it, and measures the carbon monoxide in PPM. Once you gain a reading, it remembers the peak level which can be quite helpful. However, several people note that the peak level is not zero when they get it. Even the installation process will put a smile on your face. Install the batteries behind the lockout system then adhere it to your wall or ceiling. Your family can then enjoy peace of mind while monitoring any CO in your home. Many people are catching onto the smart home phenomenon, but did you know that your carbon monoxide detector can be a part of it too? That’s where the First Alert carbon monoxide detector comes in. This unit not only detects fire and carbon monoxide, but it can also check the weather, play music, act as night lighting, and send alerts to your mobile phone in emergencies. What else could you need? There is a lot to love about this carbon monoxide detector. It’s available in four different models, is compatible with Alexa and Apple assistants, and has an omnidirectional speaker of which you can take advantage. It also runs on AC power, so you don’t need to worry about batteries. 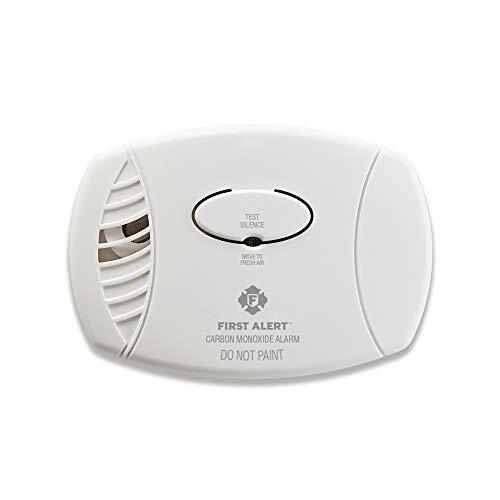 Using the First Alert Onelink Home app, you can also use this carbon monoxide detector for a whole range of tasks – of which several other units can’t do. Remain safe and secure, but have a form of entertainment at the same time. Not everyone is going to have the best experience with a new carbon monoxide detector or smoke alarm, but the majority is in favor of this new unit from Nest Protect. It might seem a little gimmicky – and not everyone likes that aspect – but the numbers speak for themselves. This wired carbon monoxide detector has industrial-grade sensors, links to your smart device, and lets you know when anything is amiss. What’s more, it tests itself discretely over 400 times per day, meaning you won’t have to worry about any alerts during the night unless it’s an emergency. If it senses smoke or carbon monoxide, it then talks to you in a human voice while sending alerts to your mobile phone. Such a feature is perfect if you’re not home. If you get a false alarm due to burning toast, you can turn the signal off via your phone as well. Otherwise, the carbon monoxide detector will sit there discretely showing a glowing green light to let you know everything’s fine. This carbon monoxide detector is more expensive than many others on the market, but it could end up being a lifesaver. It’s in everyone’s best interests to purchase a carbon monoxide detector for their home. Carbon monoxide is tasteless, odorless, and deadly, meaning the only way you are going to know it’s there is when you become seriously ill – or worse. If you want to protect your family and reduce the risk of any emergencies, then a carbon monoxide detector is a worthwhile investment. Take the time to consider the following points before you buy one. The first thing to consider in a carbon monoxide detector is how sensitive it is to the gas. If you want peace of mind that your family is safe, choose a unit that will detect even low levels of the gas. It’s helpful if you know when and when it isn’t there. The price and warranty can mean quite a lot. As a rule, the more you pay for a carbon monoxide detector, the more features it has and the more reliable it can be too. However, it’s never a bad idea to try and strike a happy balance between value for money and quality. But before you add one to your shopping cart, look at its warranty. How long will it last? How long will the battery last? This feature can play a part too. Do you like gadgets with all the bells and whistles, or do you prefer them to do one job and that’s all? Before you buy a new carbon monoxide detector, consider whether you want something more advanced or standard. Some detectors also come with smoke sensors, while others are CO only. Then, there are those that link with your smartphone or work with digital assistants like Alexa, Google, or Apple. The power source for a carbon monoxide detector can differ from one brand to the next. Think about the convenience you would prefer. Some detectors are wired into your home power supply, while others run solely on batteries. Then, some plug into a power socket, or use home power and have a battery back-up too. Think of the convenience you prefer before buying a new one.